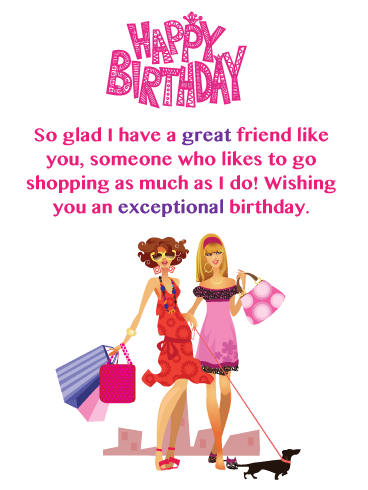 This birthday card was designed specifically for your fabulous friend! 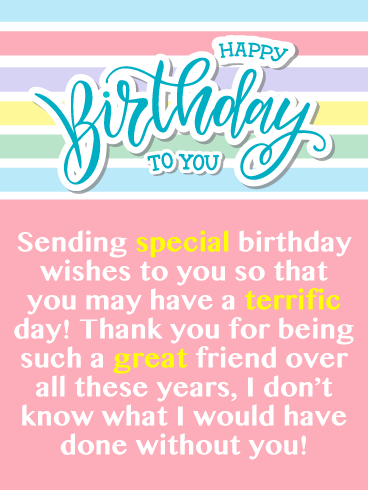 Their birthday is a big occasion and deserves a special greeting card such as this! 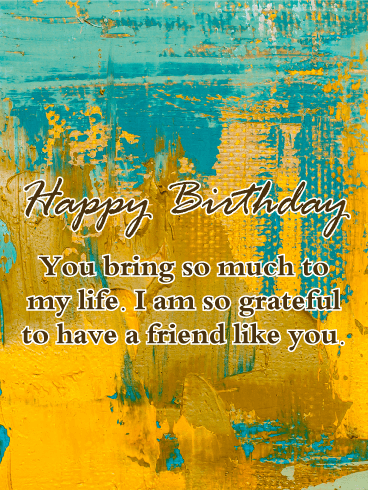 Glittering gold dots against a pretty pink background give this birthday card a dazzling look. 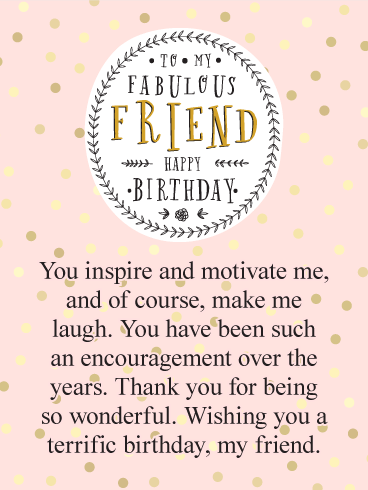 Your friend will read that they inspire and motivate you, make you laugh, and that you think they are wonderful! 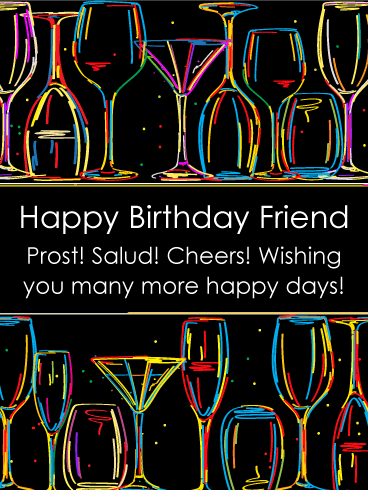 There is no better way to wish your friend a terrific birthday than with this beautiful greeting card! Sparkling beer! Now that's a great celebration drink! 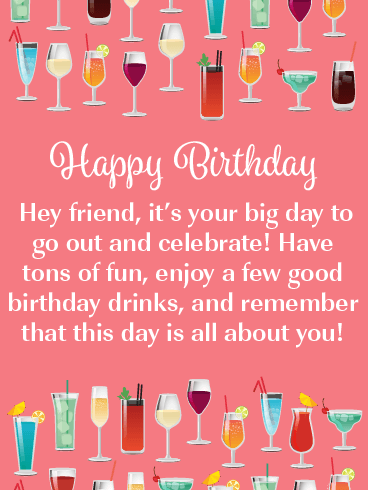 If you want to send some cheer to your friend for their birthday, then get these glittery party drinks over to him or her fast, before they're gone! They will certainly thank you for it! 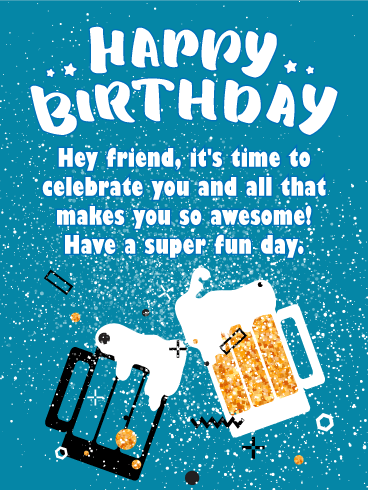 This birthday card tells your friend that it's time to celebrate what makes them awesome, something they would love to hear! 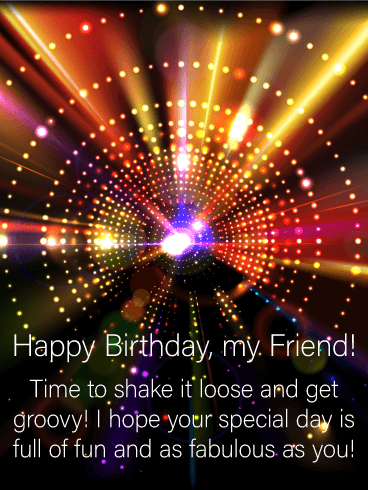 Don't delay, wish your friend a super fun birthday today! 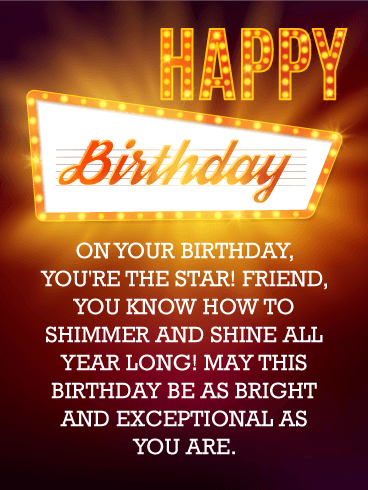 What's not to love about this gorgeous birthday card?! It's simple without being boring, and the unique color scheme really makes it stand out. The star of this birthday card is the sentiment in the middle. There's no one in the world who doesn’t love hearing how much they mean to someone and how grateful that person is to have them in their lives. Maybe it's the way they seem to remember every little important date or occasion. Maybe it's the way they always seem to know just what to say or do to put a smile back on your face. 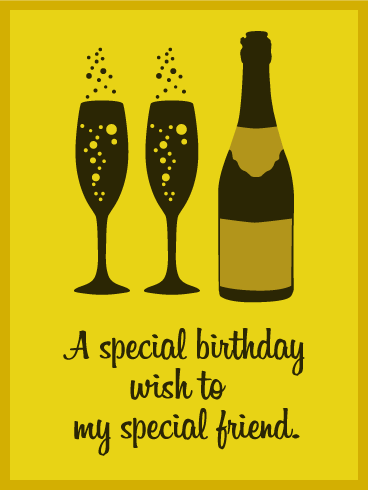 And this handsome birthday card is the perfect way to offer a special birthday wish to that special friend!